I've reviewed their outlet at Sunway Pyramid before. If you haven't read it, go read it here. (SANOOOK Thai Japanese Cuisine @ Sunway Pyramid Hotel West). 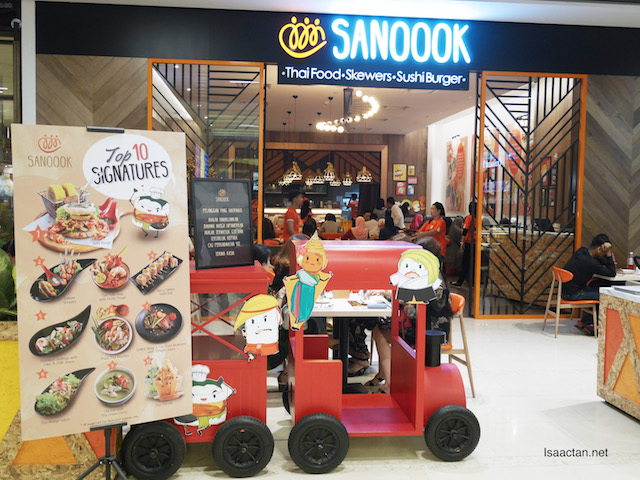 This time, I was at Sanoook Thai-Japanese Restaurant's newest outlet located in the spanking new Pavilion Elite Shopping Mall. The food did not differ much, but there's a couple of new items here and there. Anyway do check out what we had that afternoon. Address : Lot 1.104, Level 1, Pavilion Elite Shopping Mall, 165, Jalan Bukit Bintang, Bukit Bintang, 55100 Kuala Lumpur, Federal Territory of Kuala Lumpur . 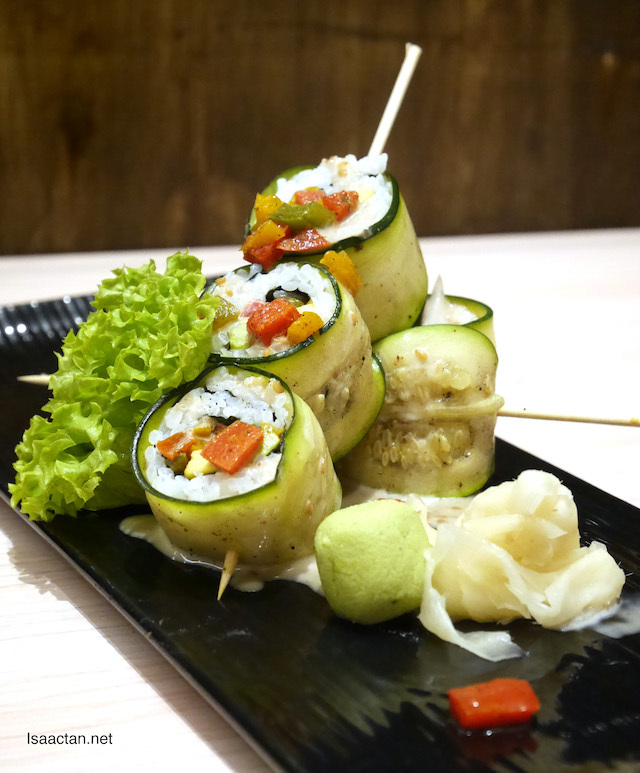 Inspired by a combination of Thai and Japanese cuisine, Sanoook serves some of the nicer fusion food. Their food is really quite nice, for fusion food. Located at the new Pavilion Elite, the restaurant is strategically located, and can be accessed from the F&B floor of Pavilion itself. During lunch hour, the place is packed with diners, so go earlier before the masses. 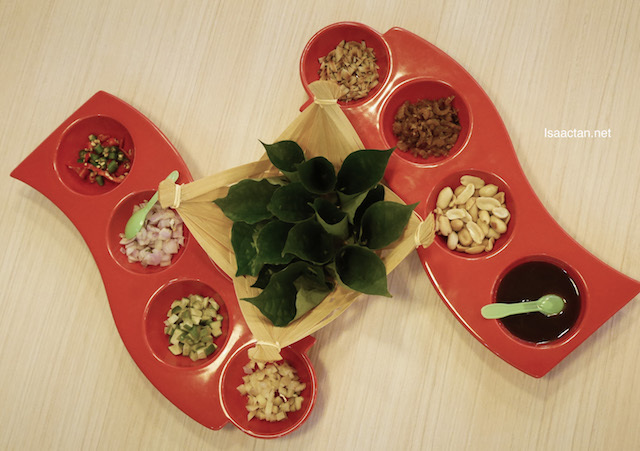 Start off your meal at Sanoook with their delectable Mieng Kam, betel leaf wrap served with seven condiments. 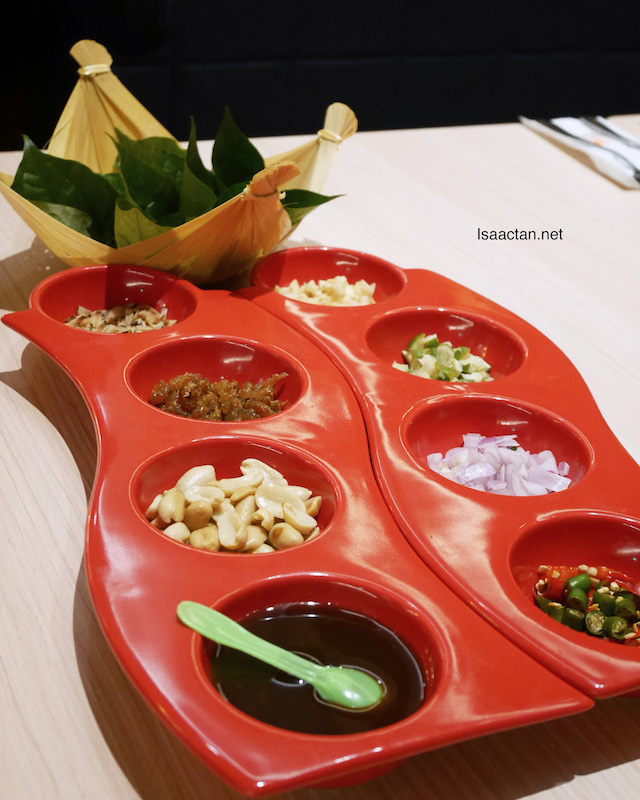 I never fail to order this whenever I dine at any Thai restaurant, a traditional snack consisting of betel leaf with Shallots , Fresh red bird's eye chili , Ginger , Garlic , Lime , peanuts , Small dried shrimps and sweet sauce. Put it all together, wrapped up and pop into your mouth. Good stuff! Two fusion dishes came next, the Thai Coconut Soup With Chicken Wonton and delectable Chicken Skewers dish. 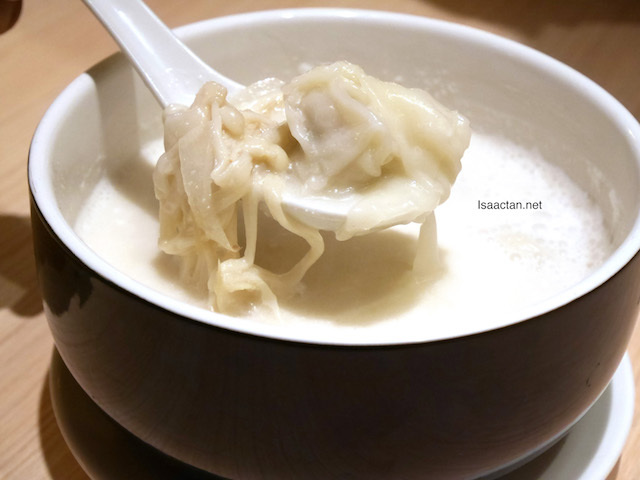 The soup is surprisingly refreshing, with lots of coconut flavours complete with yummy wontons inside. One of my favourite and recommended dish at Sanoook would be their skewers. 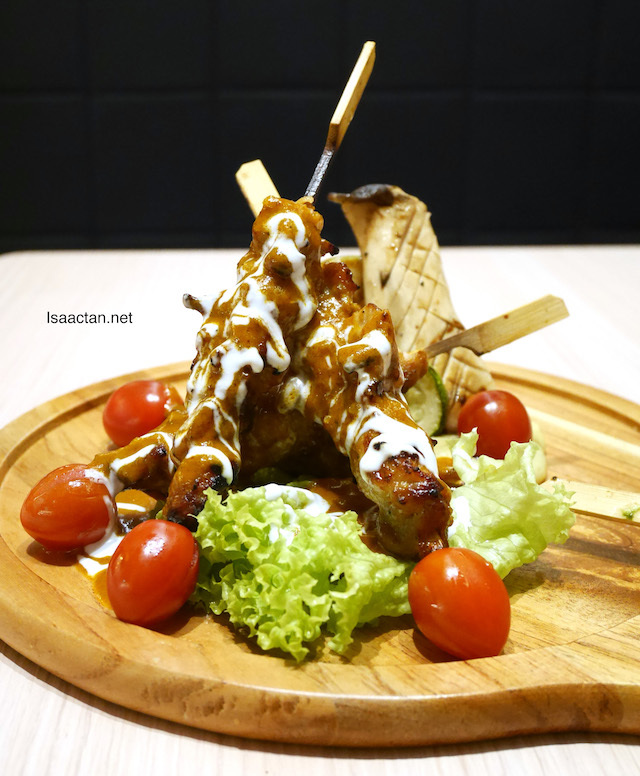 We tried their Chicken skewer that afternoon, which is picked from a choice of vegetables, chicken, beef, prawn, salmon, and salmon belly. 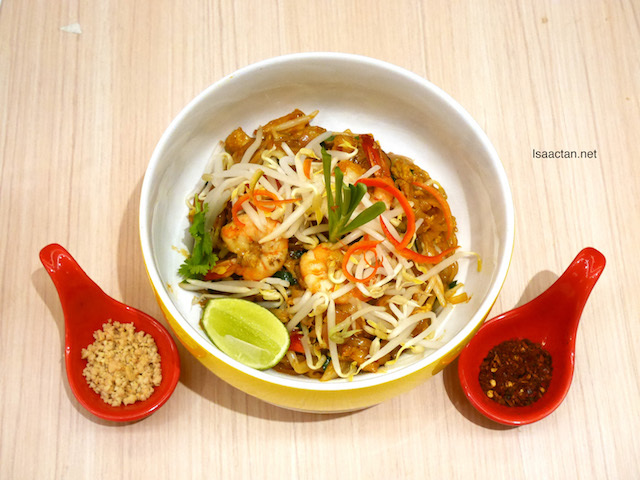 My personal favourite at Sanoook, one which I never fail to order whenever I dine here, the Phad Thai Noodles with Prawn. Springy, tangy noodles, both sweet and sour at the same time. They provide nuts and chilli at the side in case you want to add it into the mix. Yum. 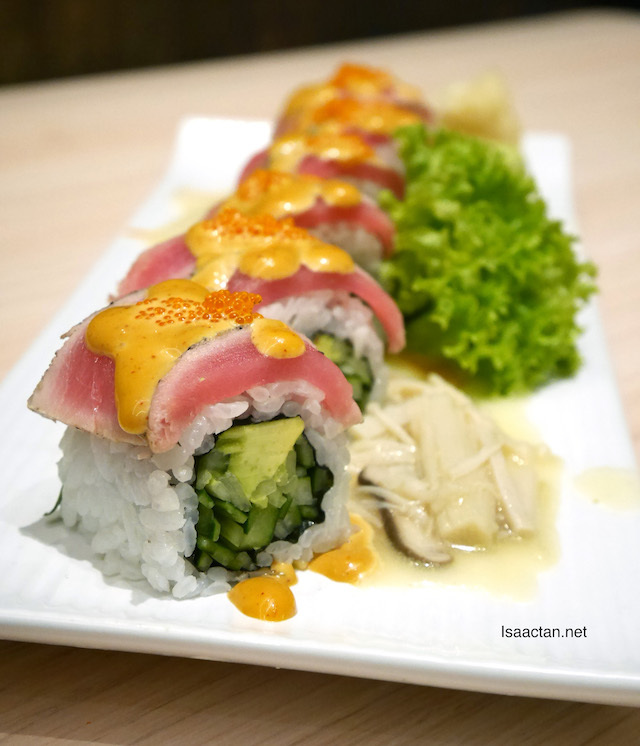 Two very interesting sushi rolls, in the form of the Grilled Tuna Sushi Roll with Spicy Tom Yam Sauce and the Sanoook Vegetarian Sushi Roll with Sesame Mayonnaise was served next. It was indeed a fusion Japanese dish, and tasted good to boot. Now here's a cute one. Mango Sticky Rice With Ice Cream, I couldn't have come up with this idea even if I tried. 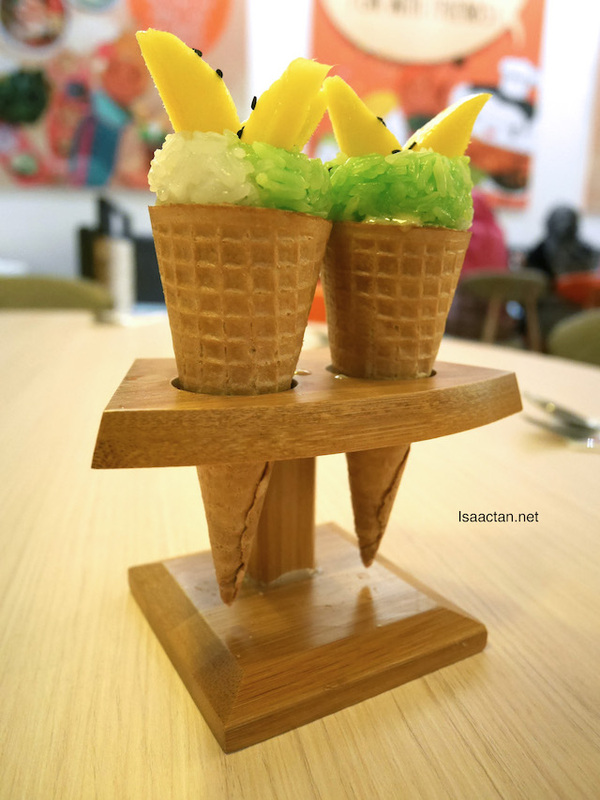 Inside the ice cream cone, you have these sweet mango sticky rice and mango flavor Ice cream. Sushi Burgers? Yes please. 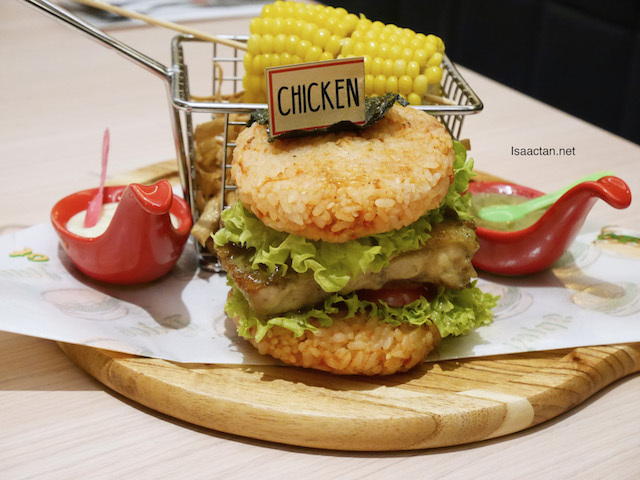 We tried the Grilled Chicken With Teriyaki Sauce Burger, with tender grilled chicken placed in between two sushi 'buns'. On the top, you have some seaweed and sweetcorn on the side. 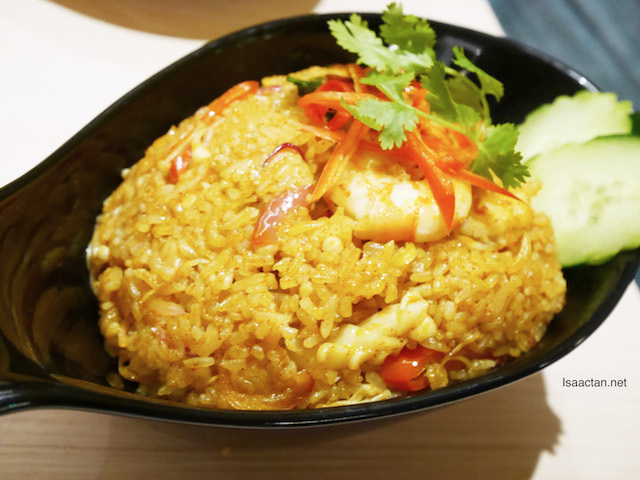 Do try out their signature Seafood Tom Yam Fried Rice as well, which looks okay, but tastes awesome, bursting with flavours! Dessert came in the form of this cold sweet Thai Volcano. 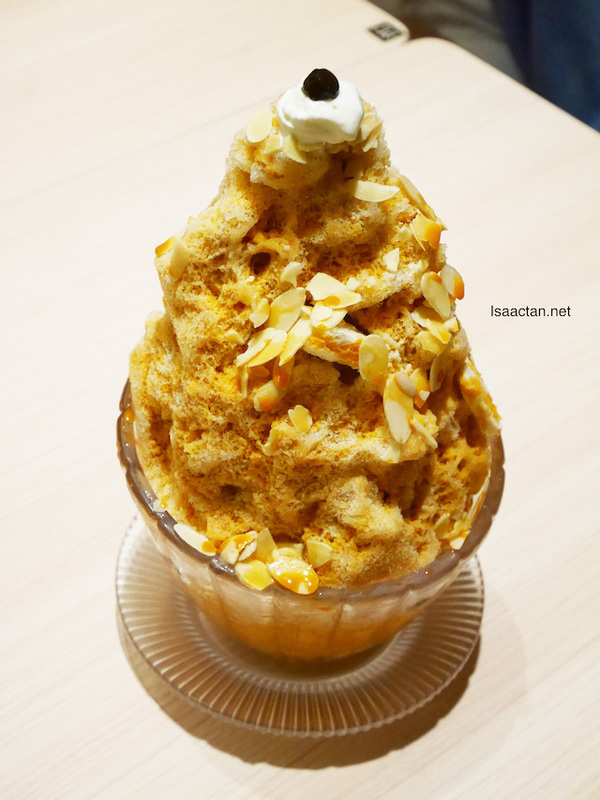 It's an ice dessert milk tea, with loads of sweetness to make you smile. 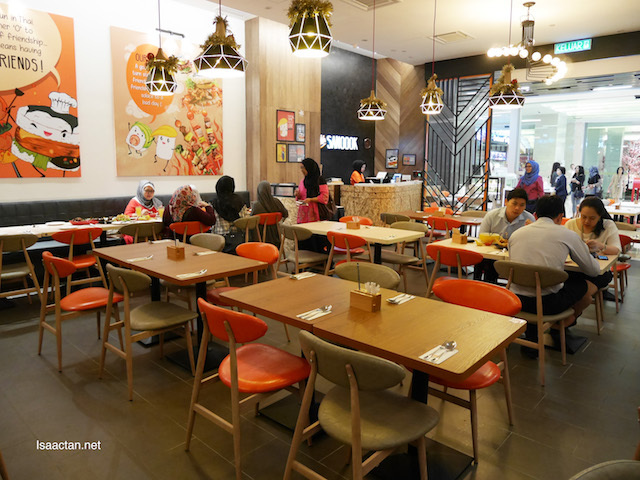 So what are you waiting for, the next time you're in the mood for some nice Thai Japanese cuisine, do drop by SANOOOK Thai Japanese Restaurant at Pavilion Elite Shopping Mall, Kuala Lumpur. Miang kam, my favourite!!! But nice or not, it depends on the sauce - this one looks quite unexciting.